Boston, capital of the Commonwealth of Massachusetts, was settled by Puritan colonists from England in 1630. During the American Revolution, when the original 13 colonies broke away from the British Empire, the city was the scene of several key events, including the Boston Tea Party and the Battle of Bunker Hill. Nowadays, however, Boston is best known as a world leader in innovation, especially in the field of medical devices. What is it that makes this city an exceptional place for entrepreneurs? For starters, Greater Boston is home to more than 100 colleges and universities, enrolling a quarter of a million students. Some of the world’s most prestigious institutions are located there, including Boston University, the city’s largest private university, Massachusetts Institute of Technology (MIT), Harvard and Tufts University, where Allan Cormack, Nobel Laureate for the CAT-scanner in 1979, was a professor. The University of Massachusetts in Lowell, a town on the outskirts of Boston, hosts the Massachusetts Medical Device Development Center (M2D2), an incubator that has been established with state funding to help early-stage companies and entrepreneurs succeed in a competitive environment. Then, there are a range of private companies and not-for-profit organisations geared towards assisting start-up companies. Life Science Nation provides a sourcing platform for market intelligence and developing the prospect pipeline. In late March they will host a conference entitled “Redefining Early Stage Investments” that will bring together emerging medical device companies seeking investment, larger firms casting about for strategic partnerships, and investors looking for the next big opportunity. The Capital Network is a non-profit organisation that delivers extensive education on fundraising, with seminar topics such as “How to calculate financial projections for investment presentations.” The Massachusetts Medical Device Industry Council (MassMEDIC) provides a unified voice for manufacturers, while Mass Medical Angels (MA2) is a seed stage investor group that focuses exclusively on healthcare investments. 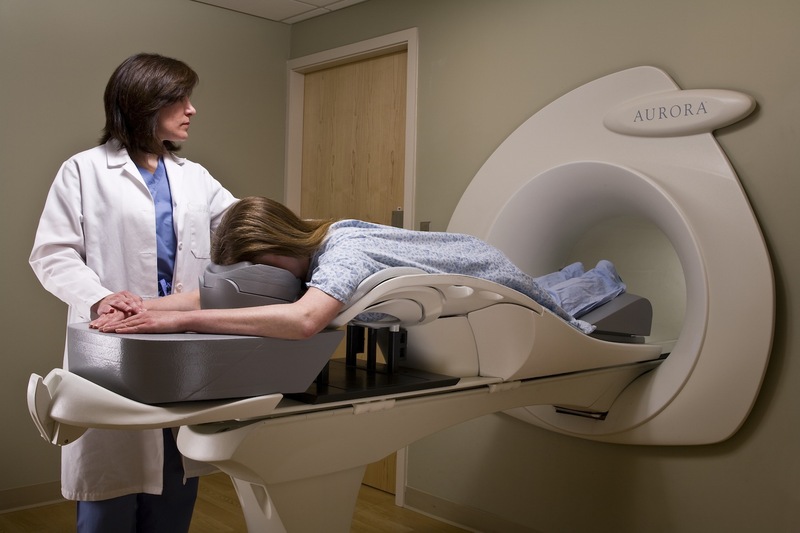 In breast imaging alone, there are four companies located in Greater Boston, including: Analogic, which manufactures flat-panel selenium X-ray detectors used in mammography as well as hand-held ultrasound systems; Aurora, which makes a breast-specific magnetic resonance imaging system (see photo left); Hologic, the market leader in full-field digital mammography, including tomosynthesis; and Terason, which has a laptop-based ultrasound system for breast imaging. While Cape Town was founded just 22 years after Boston, and has a reputation as a hotbed of medical device development, we have long way to go before we can match the success of our northern counterpart. So nice meeting you last night. Appreciate you highlighting my home town where, right in the middle, I reside. Hope to see you there or somewhere again soon. Thanks for the positive feedback, Art. I will certainly look you up when I am next in Boston. I trust that you have a productive time in Cape Town! This is a fantastic blog, thanks for mentioning us! M2D2 is a joint project with the UMass Medical Center so all the resources there are also available to medical device start-up companies. The Medical Center is the Commonwealth’s first and only public academic health sciences center. Expand your med device start-up company in Massachusetts at M2D2! I appreciate your response, Mary Ann. Thank you for adding this useful information about the UMass Medical Center as well as the link to the Massachusetts Life Sciences Center. Boston really is a special place for start-ups in the life sciences!